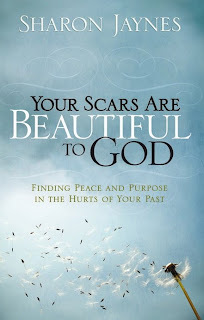 Your Scars Are Beautiful To God. This is an excellent book for learning to submit your wounds to God for healing and glory. Even as a mature Christian who knows these principles, the book still ministered to me in a current wound. It left me grateful as well for what God had already done with the hurts of my past. An excellent read. *I also enjoyed doing the questions in the back of the book. Here's an exerpt: "We tend to think that our scars hinder our service for God when it is often our very scars that render us able. Through our weakness, He makes us strong. Through our dying, He makes us alive. Through our wounds, He makes us whole. It is in the telling and showing that God's power is released." i just ordered this book! thank you for blog-ing about it. Hi Susan, I hope that you really enjoy it. It blessed me. I'll be picking up this book too! Oh, my - I better find a way to raise some money for my book collection!!! I know. Maybe we can sell stuff on ebay or something to raise money!!!!!! I am Woman. Who am I?